CLUB 18-35 is made for the persons between 18 and 35 years old... Created in 1947, CLUB 18-35 is a meeting point for young travelers whose will spent the unforgettable moments in their life !!! LIVE YOUR DREAMS WITH "CLUB 18-35" ! 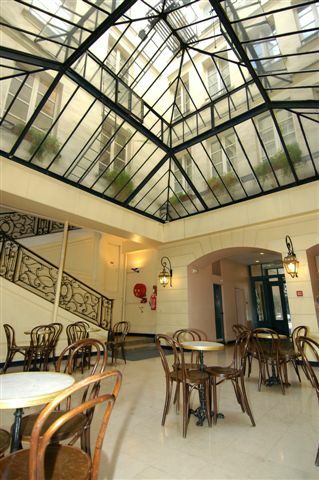 We are the oldest Youth Hostels in the hurt of Paris, which reflects the life-style of the capital. Our Youth Hostel is created in 1948, open 24h/24h without any interruption during all the year. For sure, BVJ is a meeting point for young travelers visiting Paris. You can reach any point of the capital in less then 20 minutes. The first Youth hostel of Paris. Founded in 1948, open 24H/24H non stop during all the year. Located in the hurt of the first district of Paris, 200 meters closed to Louver Museum and King Garden. A FREE, no limit breakfast served every morning to our resident, from 07H15 until 09H15. Apartements, rooms, villas, robinson tourism across the croatian coast, sailing, weather forecast, road conditions, custom regulations and much more. Lowairfares.com is the web's source for low airfares.Check Lowairfares first for the best low fares on the web.